Hub – Grow your business with us. With over 7 years of web design experiences, we create quality and responsive websites for your singapore business. The latest and most complete revision of the HTML standard of the World Wide Web Consortium (W3C) will be offered for your business. Rich content is now accessible on any device, including the array of smartphone and tablet devices in the market today. A form of marketing and advertising which uses the Internet to deliver promotional marketing messages to consumers. Search Engine Optimization (SEO), Search Engine Marketing (SEM), Email Marketing, Social Media Marketing, and Mobile Advertising. A type of business model that enables a firm or individual to conduct business over an electronic network, typically the internet. Fashion, Furniture, Groceries, Plane tickets, Online Delivery, E-Learning, E-Books and more! Also known as bespoke software or Custom software. It is made to the specifications of a client to address a specific need. Content Management, Inventory Management, Customer Management, Human Resource Management and more! Website Design Hub strongly believe that having a quality and updated website is a necessity for any businesses. It not only having your business reputation on display to show potential customers and also to establish new customers and generate more revenue for the company. 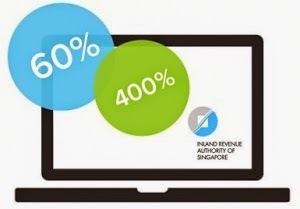 Small and Medium Enterprises (SMEs) in Singapore can claim using Productivity and Innovation Credit (PIC) Grant for up to 60% Cash Rebate or for a 400% tax deductions/allowances on up to $400,000 on the total expenditure incurred for your website. Innovation & Capability Voucher (ICV) each valued at $5000 to build towards Capability Developments such as Customer Relationship Management (CRM), a customised system which help businesses manage customer data and customer interaction, access business information, automate sales, marketing and customer support and also manage employee, vendor and partner relationships. Contact us for more Capability Developments. Our team have discovered that many entrepreneurs start a business in Singapore without having a functional and user-friendly website. There are also cases whereby they haven’t considered having a website created or made. The doors of an online business never close. By not running a 24/7 operation, business owners may fail to satisfy some customers thus resulting in a sure-fire way to lose customers and miss the chance to build loyalty. It would be best if businesses could operate full time and the only way would be, to operate a ‘live’ website, without incurring additional expenses such as rental and employee’s salaries. “Think of your business website as a big part of your business” We strongly believe that having a quality and updated website is a necessity for any businesses. It not only having your business reputation on display to show potential customers and also to establish new customers and generate more revenue for the company. We craft websites personally for our clients from scratch and we do not believe in outsourcing as each individual website require personal touch and direct communication among the software developer/s and client/s to ensure for the best professional quality of work. 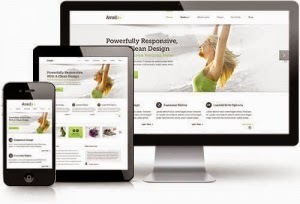 Your website will work for any device – Phone, Tablet, Laptop or Desktop. Our services are affordable, as our company offers a competitive rate. We reduce our overhead and advise you on all legal government grants such as PIC and ICV then further reduces your total website cost. Projects that we do for our client will undergo numerous rounds of unit testing, user experience test, on-site SEO optimization ensuring your business website is well structured. In addition, your website will be optimised to handle sudden spike of traffic (e.g new release of products. We do not outsource your project, each project is handled by experienced programmer and designer. We believe in effective and clear communication among the programmer, designer and client/s to ensure high quality of projects for your business. With more than 7 years of experience working on dynamic website, server management, and coding. We are very well equipped with the knowledge on how to deploy the right solution for your business. We deliver our quality work meeting tough deadlines and ensure that our customers’ website will be up in the fastest time possible. From hosting to domain registration, business listing, and Google tools for reports, we will take care of everything for you. We craft and design your business website so that it runs smoothly. We know what options to pick to get the best results for you the customer. We fix everything on your behalf and get your business website running smoothly. Price listed below is BEFORE Pic Grant 60% Cash Payout or 400% Tax Deduction. We deliver website that looks good & rank high in Google Singapore, our clients 90% are rank on the 1st page of Google Singapore for their keywords that have more than few thousands search per month. Visit our clients page for more details. E-Newsletter – delivers marketing/promotional emails direct to subscribers.